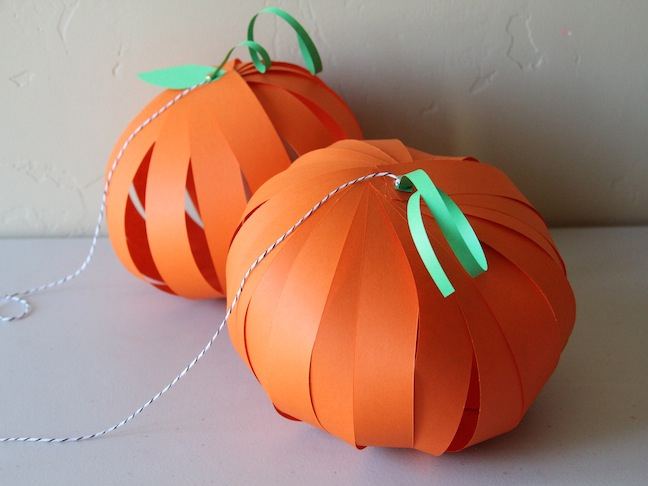 For the past three years, we’ve made these pumpkin lanterns as soon as October hits. 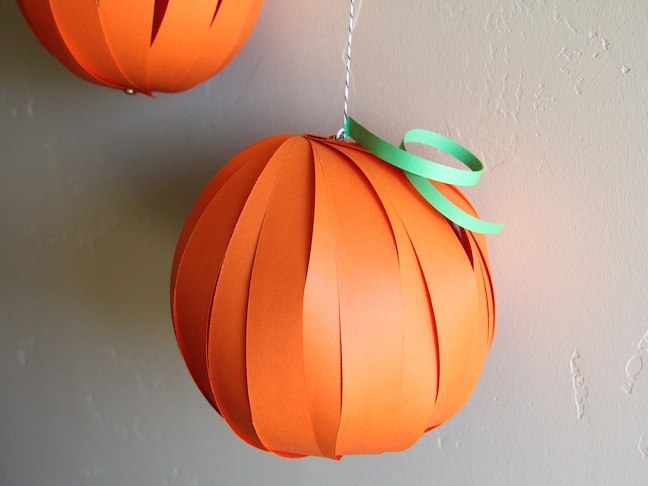 I set my kids up with strips of pre-cut paper and brads, and they go to town making these adorable pumpkin lanterns that we hang in the windows for Halloween. They take little more than paper, brads, and string, and really get my kids into the spirit of Halloween (as if the thought of 35 pounds of candy weren’t enough). 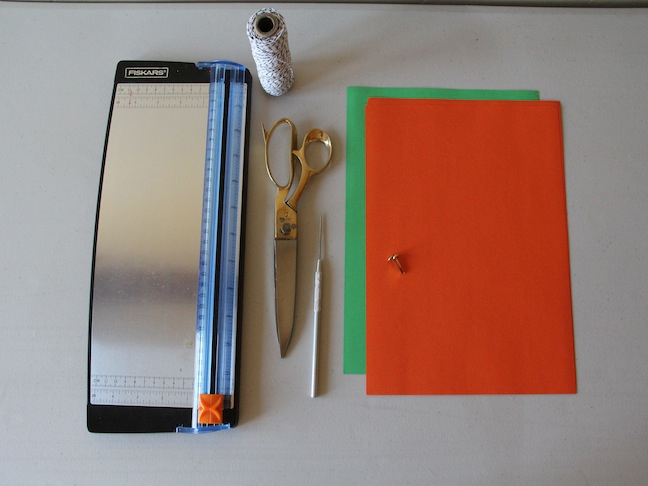 Step 2: Take the hole punch (or awl, in my case) and punch a hole through your paper strips toward each of the ends. Yes, both ends. Make sure not to make the hole too close to the edge or it could rip through. 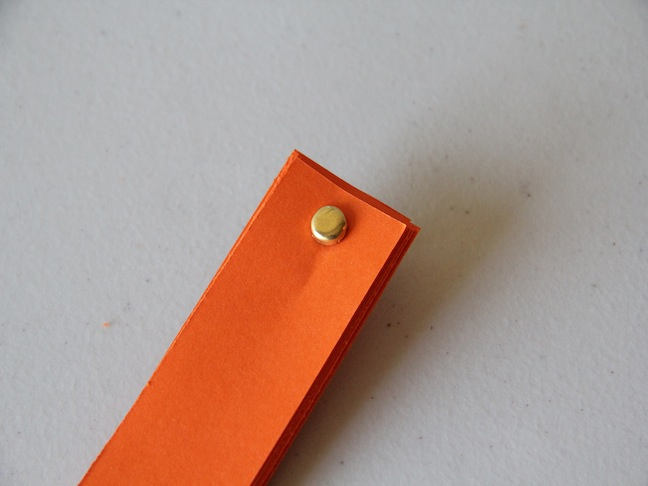 Step 3: Add a brad to one of the ends and secure it in place. Do not make it too tight though—it will need wiggle room. 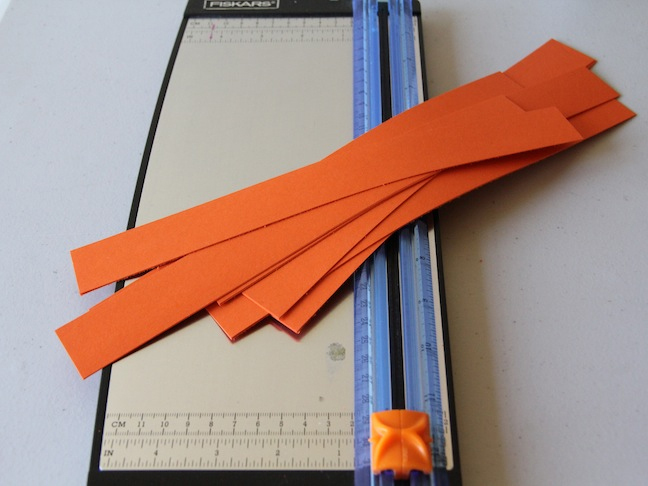 Step 4: Spread out the strips like a wheel, as evenly as possible. 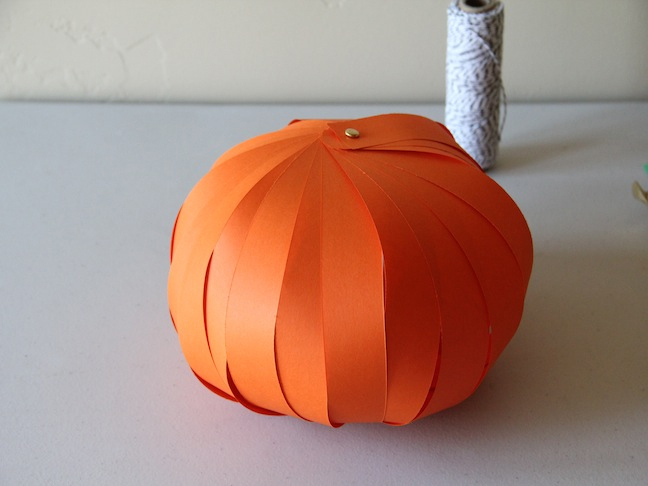 Step 5: One by one, add the strips to the second brad to make a ball (or pumpkin) shape. 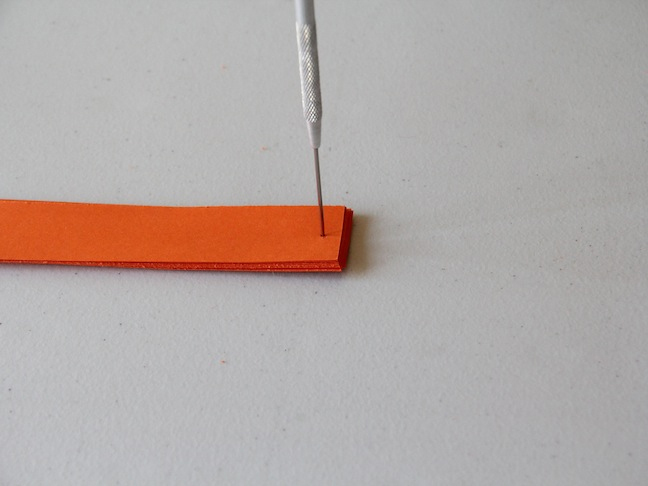 Step 6: Loop the string around one of the brads. 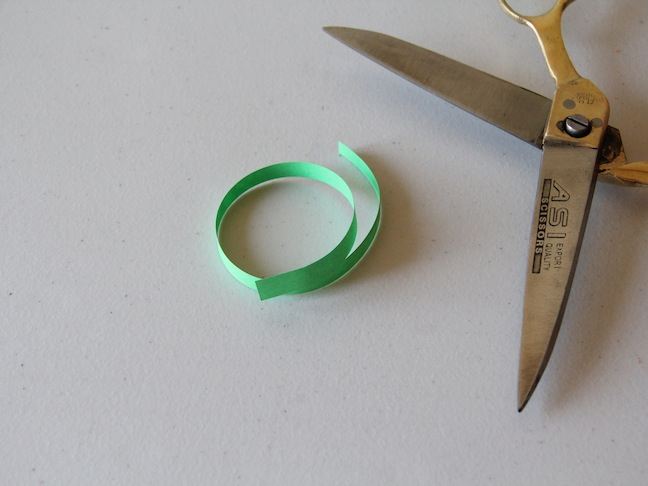 Step 7: Cut a thin stip of green paper and curl it like you would a ribbon. Not too much—a little goes a long way! 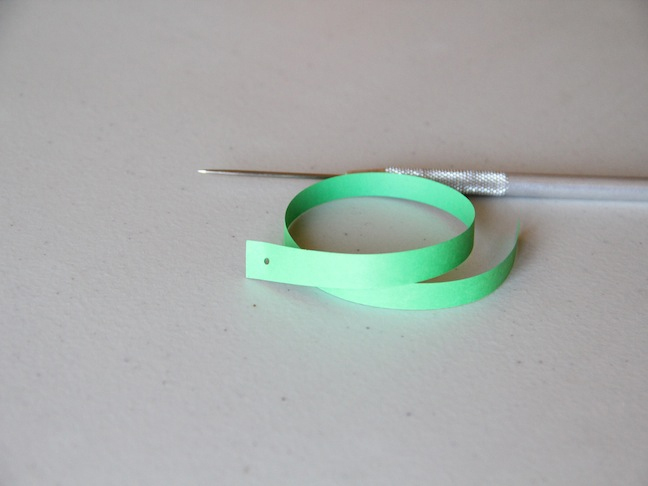 Step 8: Punch a hole in one of the ends of the green strip. 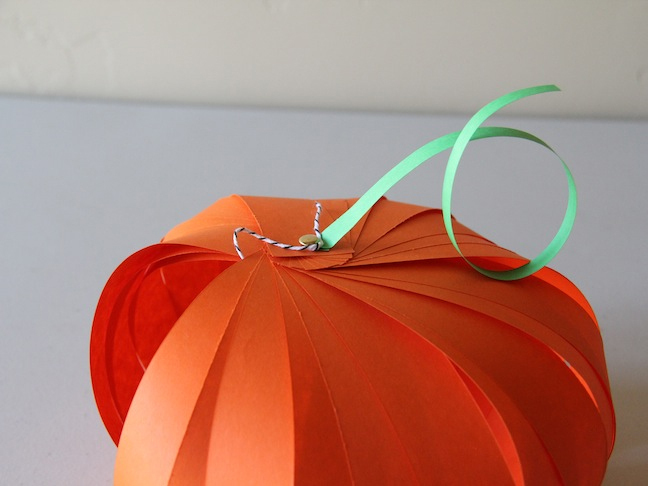 Step 9: String the green strip to the pumpkin and secure it under the brad before tying the string off. 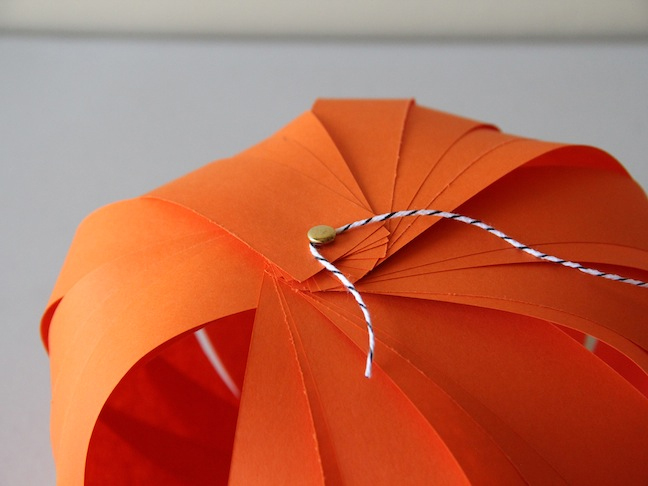 You could also add a leaf or a stem using the same method. 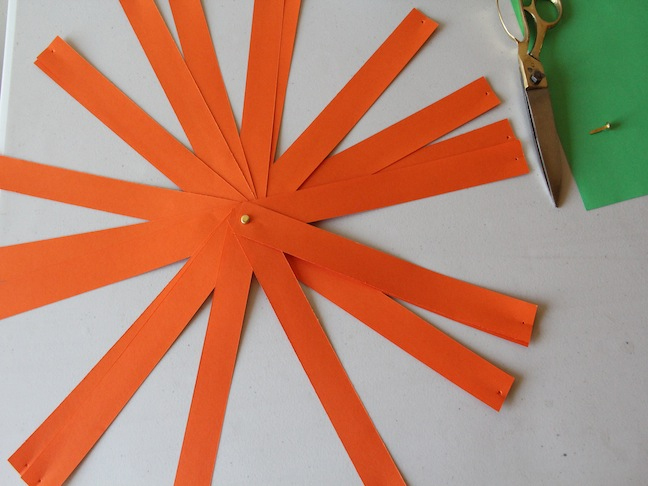 Step 10: Adjust the orange paper strips so they don’t have too many gaps, and you’re ready to hang them up! Enjoy the party!